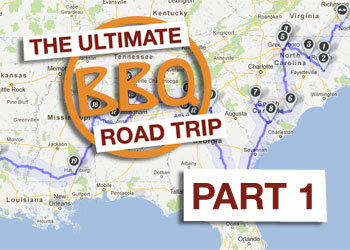 Take The Ultimate BBQ Road Trip. You can tell a lot about a place by tasting its barbecue — especially (though not exclusively) in the South. The history, folklore, and very fabric of a community is often sandwiched between two slices of white bread; the secret to a town’s success might well be lurking in the sauce. Late this summer, The Daily Meal began assembling what we believe to be the Ultimate BBQ Road Trip, a meaty odyssey exploring the best barbecue restaurants in the United States. If you have the stamina to follow our itinerary, it will cost you 21 days (14 if you have a lead foot and can eat smoked pork and/or beef three times a day), and lead you across 4,561 miles, through 16 states, and into 42 restaurants — everything from full-service chains to bare-bones shacks open only a day or two a week. At the end of this journey, we think it's safe to say, you will be a bona fide barbecue expert, a veritable maven of 'cue. You already know this, but barbecue is meat roasted with indirect heat, in the process of which it drinks in flavorful woodsmoke (oak, hickory, pecan, and applewood are some of the possibilities). 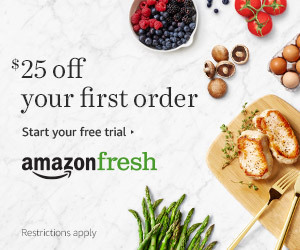 The meat is usually pork or beef — typically whole hogs or spareribs in the former case, brisket in the latter — but may extend to include sausage, lamb, turkey, chicken, ham, and even alligator. Some versions are roasted with nothing but salt and pepper as seasoning; others are coated in complex spice rubs or swabbed with sauces made from secret recipes. Sauces (often different ones than are cooked with) are typically served at the table for further seasoning. Barbecue sauces might be vinegar-based, tomato-based, or even made with mustard. The long-cooked, falling-apart meat is sometimes sliced, sometimes chopped, sometimes pulled into shreds. Plain white bread is a ubiquitous accompaniment. Spicy beans and coleslaw are among the usual side dishes, but potato salad, mac and cheese, hushpuppies, Brunswick stew, and tamales are among other accoutrements. Barbecue is a personal art form, and as the Ultimate BBQ Road Trip proves, every pitmaster has his or her own ideas about what makes it great. Texas-born TV news icon (and barbecue aficionado) Dan Rather once said, "Barbecue is from Texas, and it's beef." Suffice it to say that anywhere outside of Texas, that statement would probably be considered blasphemy. Regional styles are surprisingly well-defined, and local loyalties are strong. "Barbecue is kind of like religion or politics," said Kenny Callaghan, executive chef and partner of Danny Meyer’s Blue Smoke in New York City and the annual Big Apple Barbecue Block Party. "If you’re from North Carolina, you don’t really understand Kansas barbecue." Or as Sam Jones, pitmaster of Skylight Inn in Ayden, N.C., puts it, "I think your favorite of anything nine times out of 10 is what you were raised on." The Daily Meal recognizes the importance and validity of regional differences, which is why we've arranged our selection of great 'cue joints not as a ranked "best" list but as a delicious adventure. The 42 restaurants included in the Ultimate Barbecue Road Trip were selected based on the experiences of 'cue-loving Daily Meal editors and contributors; suggestions from chefs and pitmasters and other barbecue lovers we've met along the way; and the encyclopedic knowledge of the Southern Foodways Alliance (SFA), a University of Mississippi-based nonprofit that documents, studies, and celebrates barbecue, among many other Southern food traditions. The SFA has undertaken an ambitious program of oral histories with some of America’s most celebrated pitmasters, and generously shared the transcripts and videos with The Daily Meal. The Daily Meal also teamed up with Roadtrippers, a free Web-based road trip planner app, to create the two interactive maps to guide the journey. Die-hard barbecue fans might want to tackle the entire 21-day trip, but we’ve also broken the trip down into two parts, with 21 restaurants in each segment. The trip is also designed so that you can start or stop at any point along the way; whether you've got a couple of days in Lockhart, Texas, or are planning a long weekend jaunt to the Carolinas, you'll be able to customize your own road trip using our maps. Want to stop at the beach along the way or find a hotel where you can recover and maybe get a salad from room service? 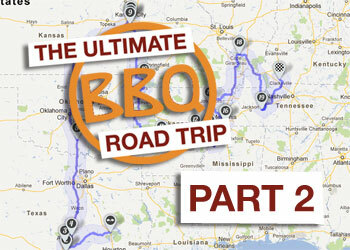 Simply click on "Find Places" and select the category you seek, then click on a spot you like and it will appear along the Ultimate BBQ Road Trip route. Junior Writers Colleen Laughlin and Tayler Stein contributed research to this story. Lauren Mack is the Travel Editor at The Daily Meal. Follow her on Twitter @lmack.